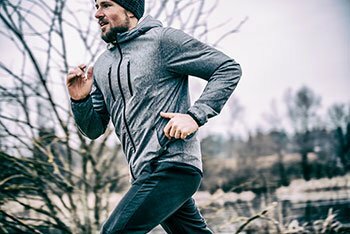 The evolution of arthroscopy has been closely related to sports medicine with the guiding principle being a less invasive technique facilitates quicker return to the sporting arena; it’s truly a treatment that won’t slow you down. In the not too distant past, sustaining an injury to the hip which was not amenable to conservative therapy meant living a restricted life with pain management in the form of medications or injections. When symptoms became unbearable, extensive hip surgery followed by a long postoperative recovery period was often the only treatment available. Hip arthroscopy not only offers distinct advantages over traditional open hip surgery such as a smaller incision, reduced risk of damage to surrounding healthy tissue, minimal bleeding, less risk of infection, short hospital stays, and faster return to activities; but in many cases it is a treatment option where none existed! With continuing improvements in arthroscopic technique, hip arthroscopy has become an option for unexplained hip pain. Hip arthroscopy can identify and treat sources of debilitating hip symptoms that would have been previously unrecognized. After making a small incision about the size of a button hole, your doctor inserts a specialized instrument known as the arthroscope to view the inside of the hip joint by means of a fiberoptic camera. Any loose bone fragments, damaged cartilage, infected debris, torn ligaments, or scar tissue within the joint can be accurately identified and removed or repaired using thin instruments inserted through the arthroscope. Hip arthroscopy can be performed in an outpatient setting and patients may be allowed to return home on the same day as the surgery. In a research study conducted on a group of heterogenous athletes, 93% were improved following a hip arthroscopy with 76% returning to their sport without any symptoms or restrictions. In a group of elite athletes, the statistics were even better - 96% were improved after hip arthroscopy with 85% being able to return to their sport. A treatment that potentially allows the elite-level athlete to return to unrestricted athletics after injury with minimal downtime will certainly benefit the average individual hoping to get back to work or routine activities as soon as possible. If you have been experiencing hip pain that is limiting your active lifestyle, you may be a candidate for hip arthroscopy.